Lady Liberty’s Steel™ III – Isabel – Freedom’s Web™ – Knife Rights’ Donation Benefiting NRA WLF! Knife Rights has donated Lady Liberty’s Steel™ III – Isabel – Freedom’s Web™, a stunning one-of-a-kind 19.75-inch Mosaic Damascus sole-authorship dagger by American Bladesmith Society Master Bladesmith Véronique Laurent, to be auctioned off at the National Rifle Association’s 13th Annual NRA Women’s Leadership Forum Luncheon and Auction during the 2019 NRA Annual Meeting in Indianapolis, Indiana. The dramatic and intricate central forged mosaic spider web pattern Damascus inspired Isabel’s freedom-related name for a Knife Rights’ donation, Freedom’s Web™. This represents the interwoven web of enumerated and natural rights and freedoms that uniquely protect Americans and for which the Second Amendment serves as freedoms’ ultimate protection. 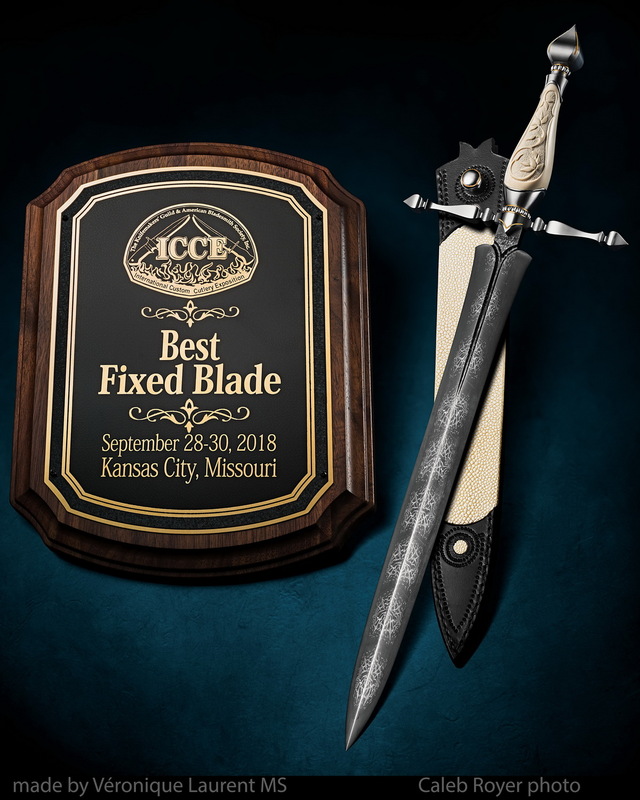 Before Laurent delivered the dagger to Knife Rights at last year’s International Custom Cutlery Exhibition, one of the most prestigious knife shows in America, Isabel – Freedom’s Web™ won the Best Fixed Blade award. Laurent also walked off with three other major awards at this show. Laurent is not just a Master Bladesmith, of which only 120 are living in the world (including retirees), but she is among the best of the best. 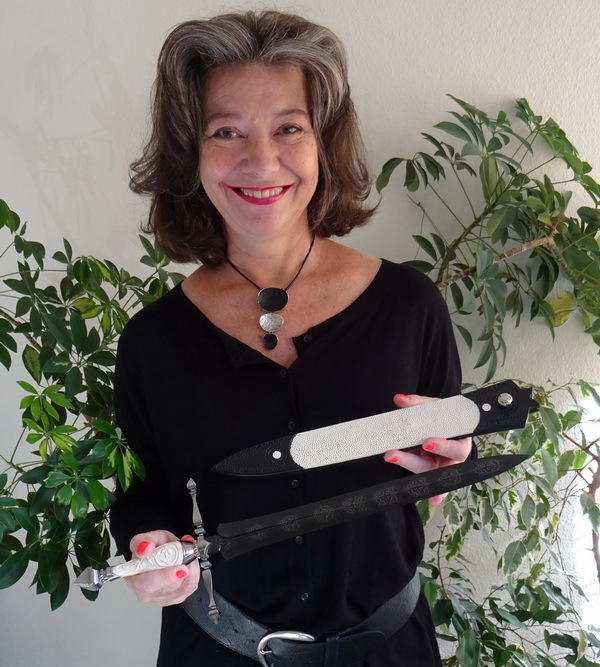 “In 2015 Laurent passed her Master Bladesmith test. 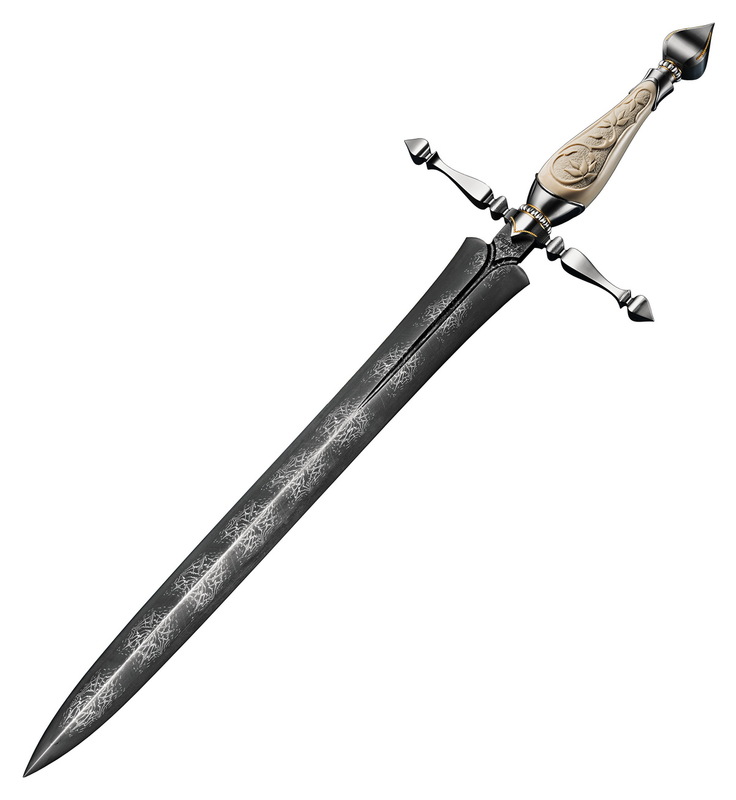 She has only made eight daggers since 2015, Lady Liberty’s Steel™ III – Isabel – Freedom’s Web’s™ is the sixth. 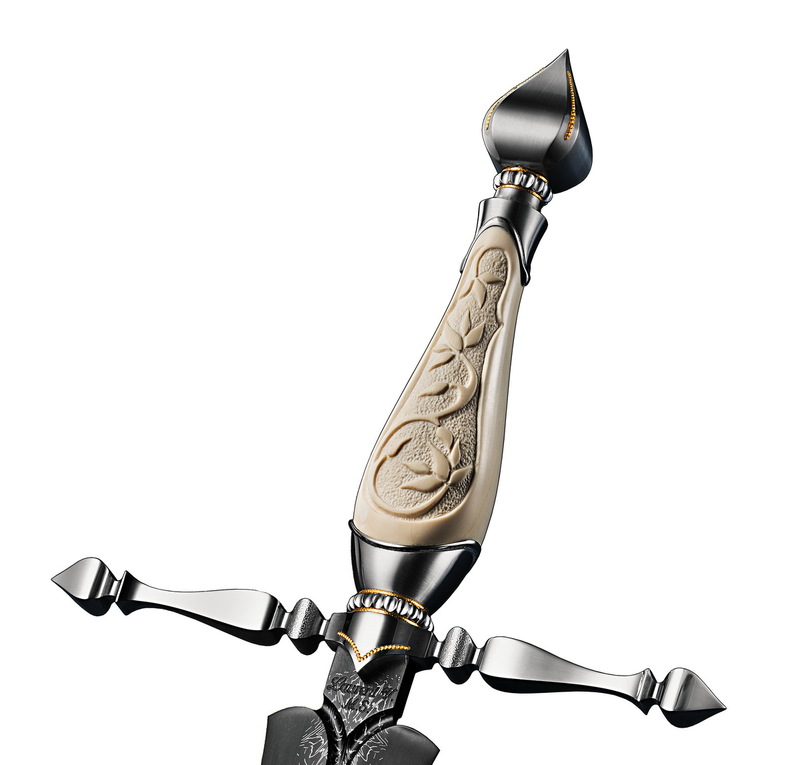 This dagger is an even more significant collector’s piece because it is her first knife in which she has inlaid 24K Gold. Lady Liberty’s Steel™ III – Isabel – Freedom’s Web’s™ handle is exhibition-grade interior fossil Mammoth Ivory. The 13.75-inch flat-ground dagger blade is a forged composite assembly with a complex mosaic spider web pattern Damascus center section with multi-bar O2 High Carbon Steel edges. Lady Liberty’s Steel™ III – Isabel – Freedom’s Web™ is 19.75 inches long overall. Laurent’s hand-tooled and hand-sewn black leather sheath is inlaid with ivory caviar finish Stingray leather with a 24K Gold inlaid stud. Véronique Laurent was born in 1968 in Belgium and now resides in Brussels. Initially, her interest lay in cold iron work, not making knives. 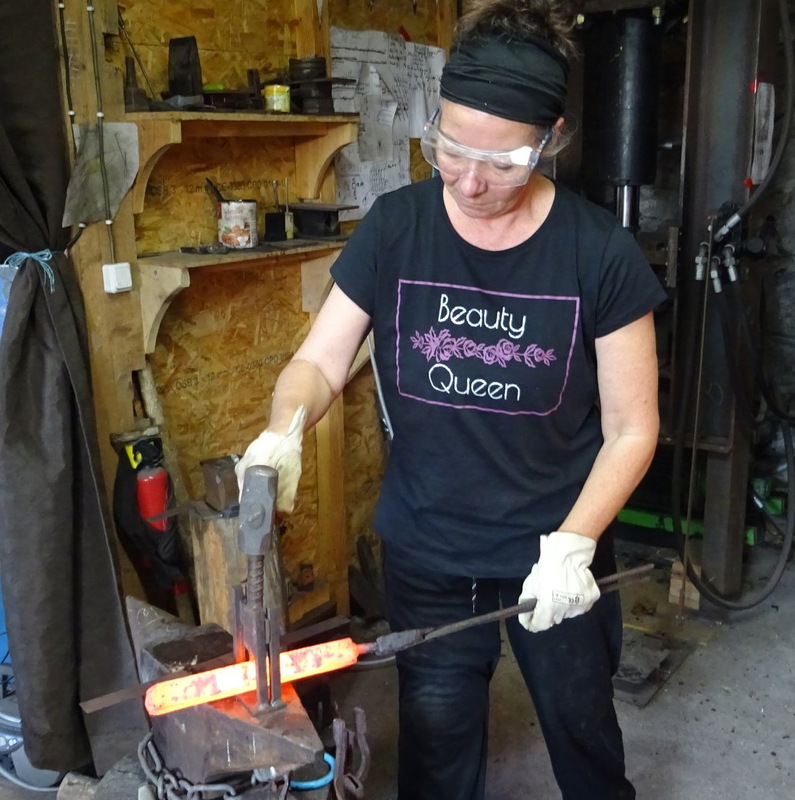 In 2004 she attended a forging event where the Belgian Knife Society gave knife forging demonstrations and her passion for forging knives was kindled. She took a class from a Belgium bladesmith and he providing additional advice for a period of time. Her partner, Michel, built her a hydraulic press, belt grinder and other knifemaking necessities to continue her bladesmithing journey. In 2010, a French collector invited her to a gathering of bladesmiths. Laurent met Master Bladesmith Joe Keeslar of the American Bladesmith Society and became excited about their rigorous apprenticeship-based training system. As she relates, “the beauty is that they share all their knowledge. You get all the information you need to move forward. It is very motivating.” After spending two years as an Apprentice Bladesmith, Laurent crossed the Atlantic to attend BLADE Show in Atlanta, Georgia, and passed her Journeyman Bladesmith test in 2013. A mere two years later in 2015 her growing skill set and passion for excellence allowed her to pass the very demanding Master Bladesmith test. 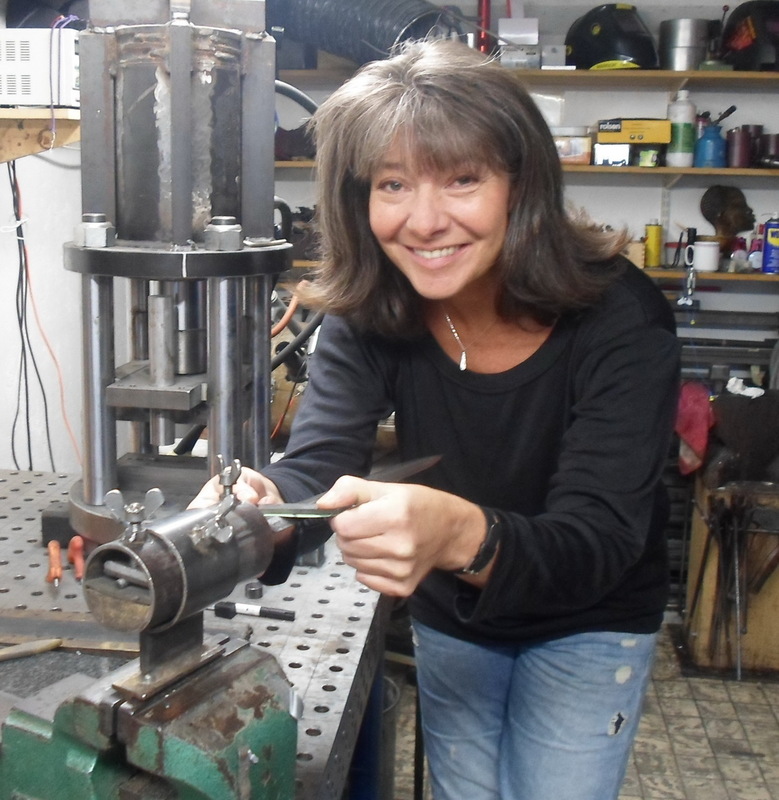 At the time, she became the third female Master Bladesmith and she started knifemaking full time. In 2017, after lessons from a Master Engraver, she started engraving her knives. She produces an average of seven large knives annually. Her knives are in collections all over the world. I photograph custom knives. Every piece is unique and deserves to be photographed uniquely. Every image I shoot is customized to its knife. I create deep, engaging, emotional reactions when you see the knives in my images. I am Caleb Royer and I am a custom knife photographer. 2019 Freedom’s Steel™ VIII – Ribbons of Liberty™ COMING SOON!